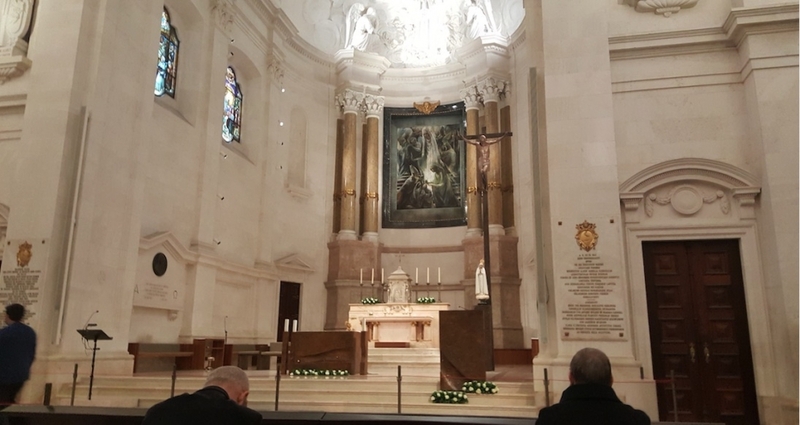 Lisbon is so filled with activities, fine cuisine and wines that it is difficult for visitors to tear themselves away from the city but I assure you there are wonders throughout the country. 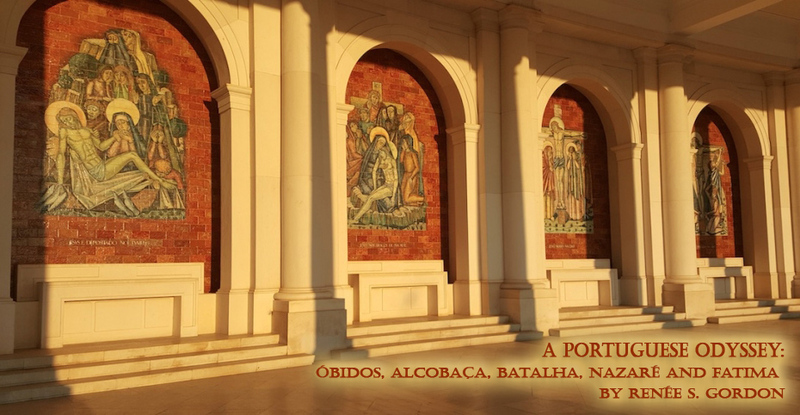 Some of Portugal’s most historic sites and monuments, as well as unique experiences, are to be found within a day’s drive of Lisbon and the small cities and quaint villages provide glimpses into the heart of the country. You can opt to rent a vehicle or book a Gray Line tour to one or more of these destinations. 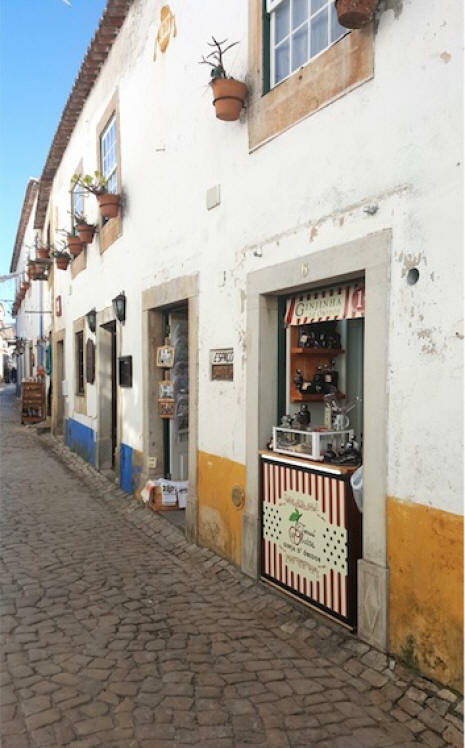 Óbidos, a picture perfect fortified town, is a mere 50-miles from Lisbon. Encircled by 14th-century Moorish walls the town’s circuitous cobblestone streets lead to a 15th-century medieval castle, now a luxury hotel. The fortress was rebuilt as a castle after the Moors left the town in 1148. 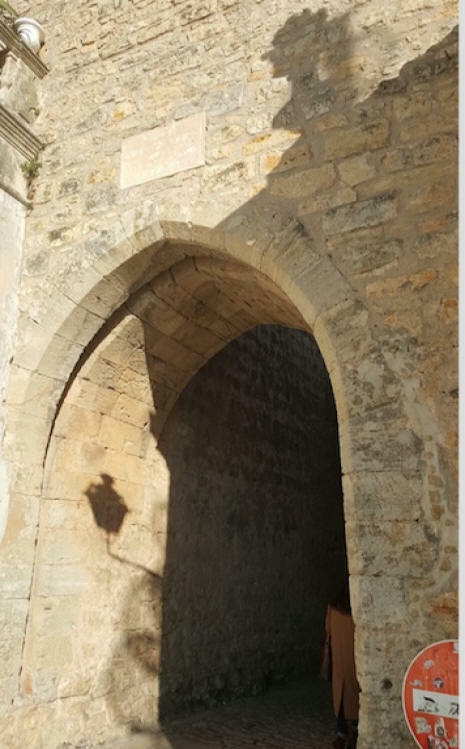 You enter town through the Porta da Vila gateway adorned with 16th-century tiles detailing the Passion of Christ. 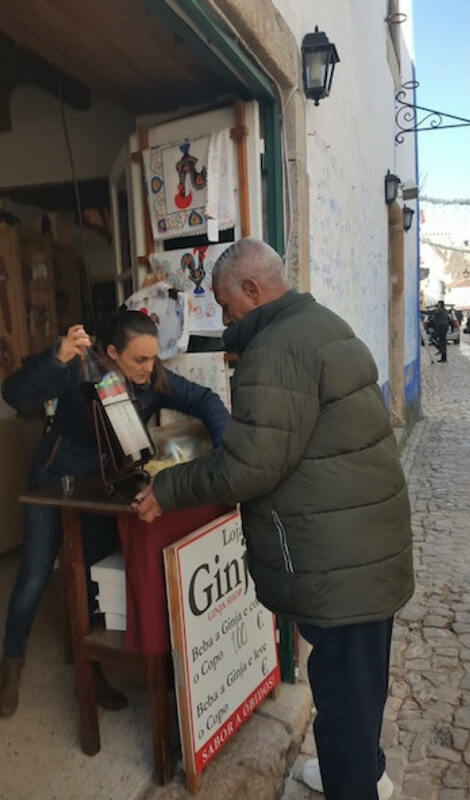 The main street, Rua Direita, is lined with shops, some of which sell Ginja de Óbidos, a traditional cherry liquor in a chocolate cup made to be eaten after finishing the drink. A few of these and you can walk the 1-mile wall perimeter and take in the panoramic view of the exterior vineyards, farmlands and intact, 1.5-mile, 16th-century aqueduct and the interior flower-draped city streets. The town was so beautiful it was designated the House of Queens in 1281 after King Dinis gave it to Queen Isabel as a wedding gift. The tradition continued for 600-years. 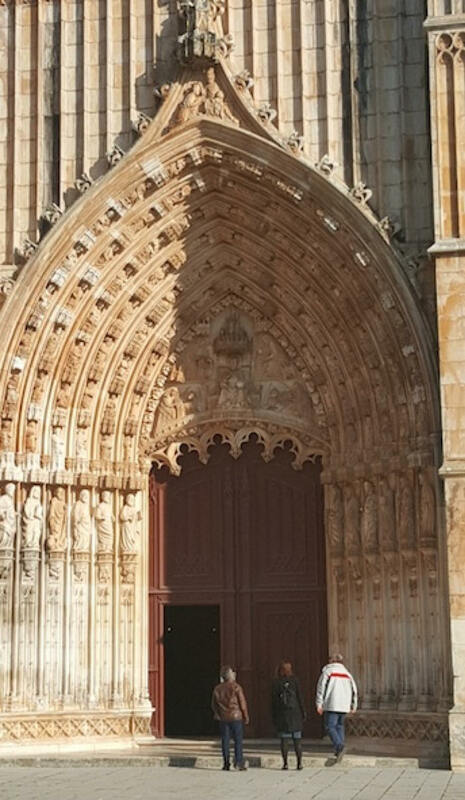 In 1444 the Santa Maria church was the scene of the wedding of King Afonso V, aged 10, to Isabel, aged 8. The church dates from the 1100s and was constructed on the site of a mosque. 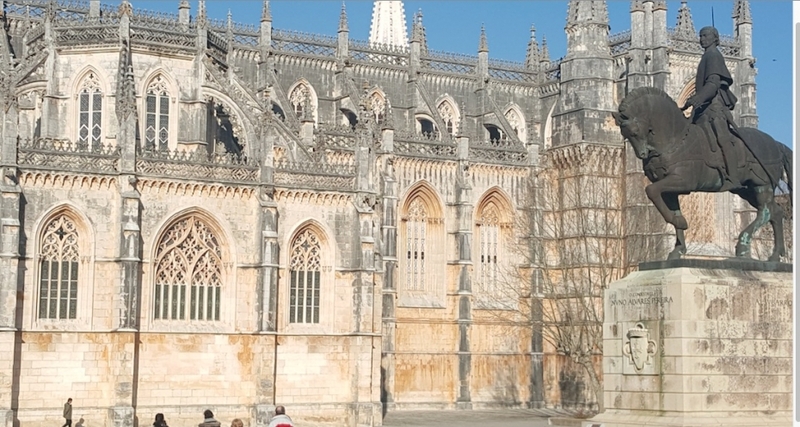 Alcobaça, is home to the UNESCO World Heritage Site, and Portugal’s largest church, begun in 1153 to commemorate the removal of the Moors, completed in 1223. There is much to see here including the vaulted ceiling, Cloister of Silence, Room of Kings and the tombs of Portugal’s most famous lovers, Prince Pedro and Inês de Castro. Pedro was married to Constance but he carried on a secret love affair with Inês. 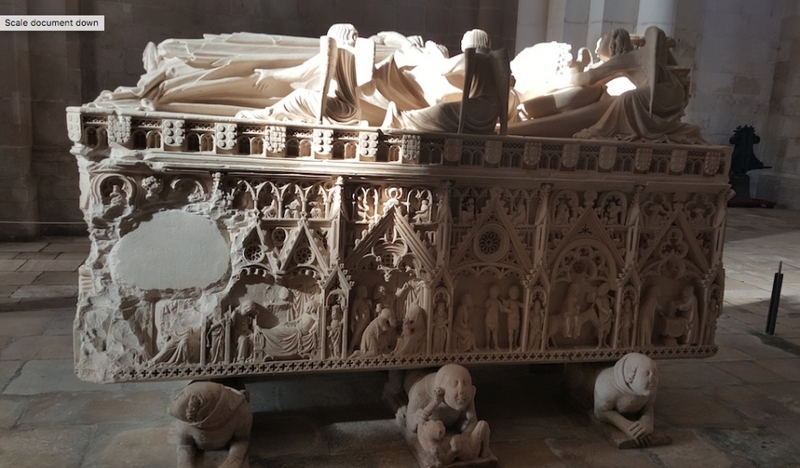 When Constance died in 1345 he was denied permission to marry her by his father King Afonso IV and so he went away and lived with her as his wife. The king ordered three men to murder her and she was decapitated on January 7, 1355. Pedro was so grief stricken he rebelled against his father in 1355 and crowned in 1357. Two of the murderers, they never located the third, were executed by having their hearts torn out. He had her exhumed, crowned queen and made members of the court kneel and kiss her hand. 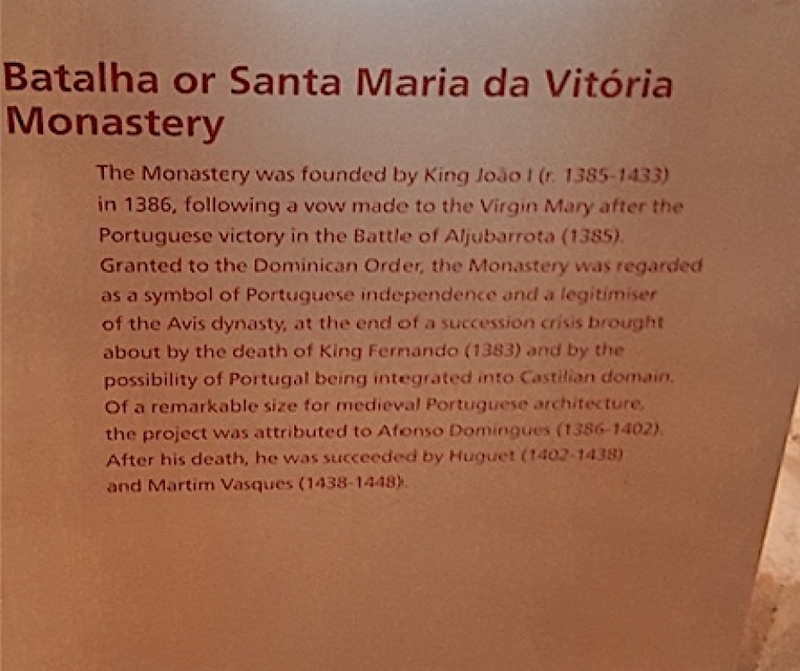 In 1360 Pedro interred her in a tomb in the Royal Monastery of Alcobaça. Pedro and Inês rest in the nave in ornate tombs with feet facing one another so that their first vision in the afterlife will be each other. 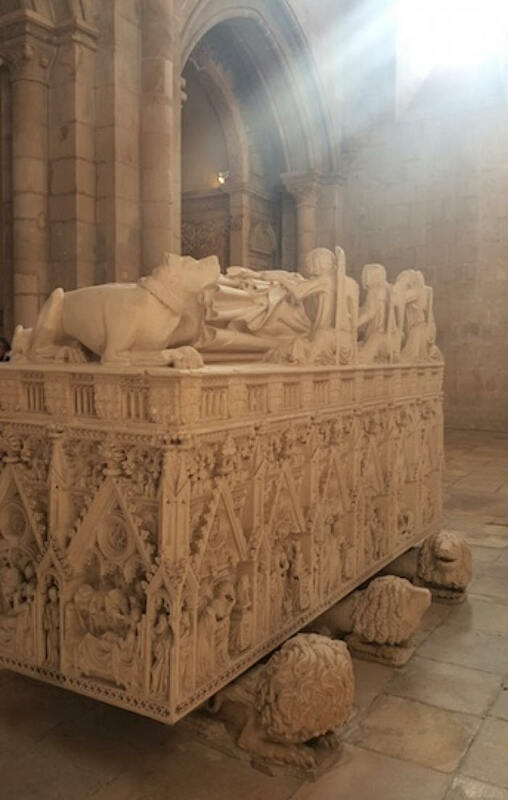 Prince Henry the Navigator’s tomb is in the 1388 UNESCO World Heritage Site, the Dominican abbey of Santa Maria da Vitória, in Batalha. The tombs of King João and his wife reside in the Chapel of Founders and there is a superb 1514 stained-glass window behind the choir. Architecturally and historically this is an important and impressive edifice. 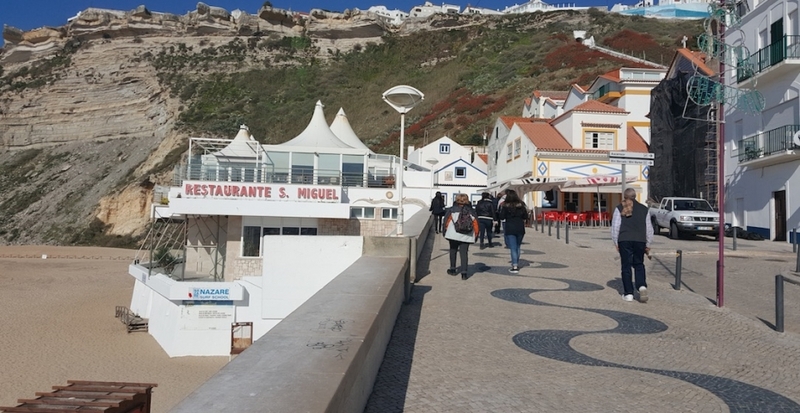 Nestled in a bay is the 4th-century fishing town of Nazaré where visitors can soak up the atmosphere of a village seemingly arrested in time. Wooden fishing boats line the shore, some with an eye painted on the prow, reminiscent of Phoenician boats, along with fish drying racks. The town is believed to have been named after Nazareth in the Bible. There are seaside restaurants along the Avenida Marginal. 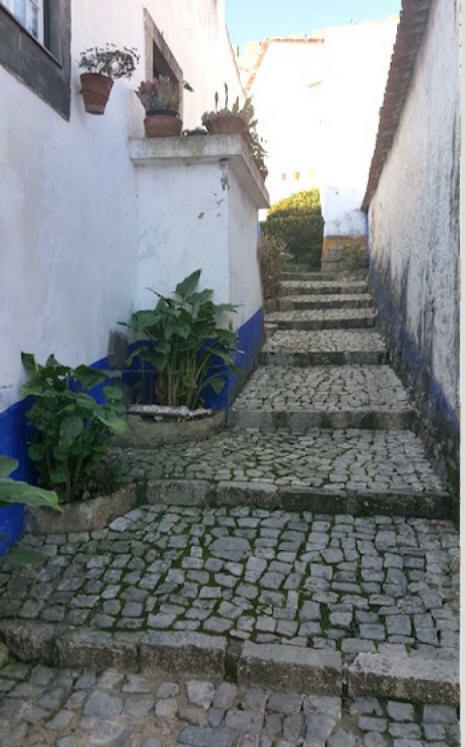 In times past the “fishwives” of the town waited for the fishermen on the seafront and for warmth and superstition they wore the traditional seven skirts of Nazaré and wooden shoes. Lucky visitors may still see women dressed that way. Nazaré is an international surfing paradise because of the enormity of the waves here. Hugo Vau broke the world record in January of 2018 by riding a 100-ft. wave, Big Mamma, at Praia do Norte. 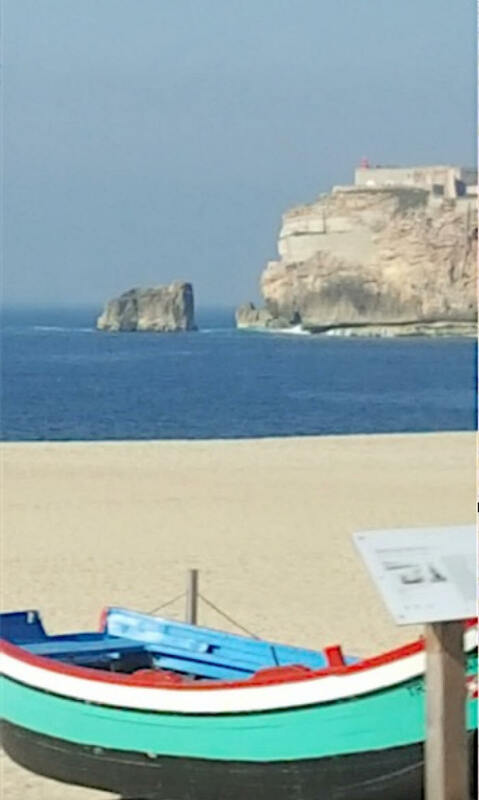 In the 7th-century it is believed two sailors brought a statue of the Black Madonna to Nazaré from Nazareth. 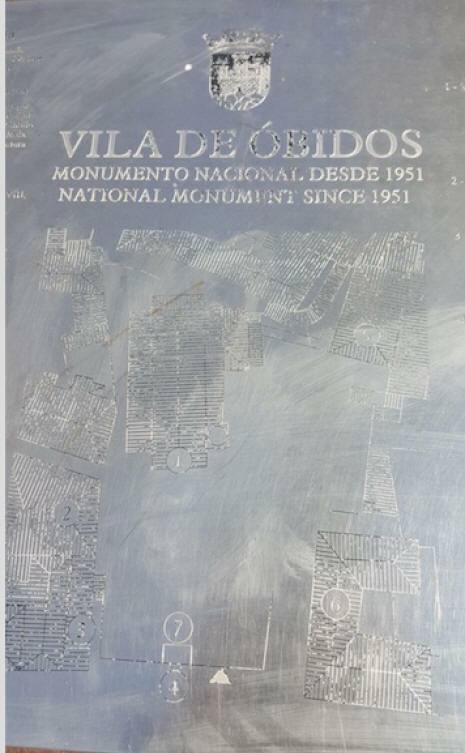 During the years the Moors ruled the statue was hidden and rediscovered in the 1100s. A chapel was constructed where she was discovered and in 1377 a larger church was built to accommodate the large number of pilgrims. The Black Madonna is still on view. Around 1158, a crusading knight, Don Gonçalo Hermingues, captured a Muslim princess named Fátima. They fell in love, she converted to Christianity and they married. Soon after she died leaving a heartbroken husband. 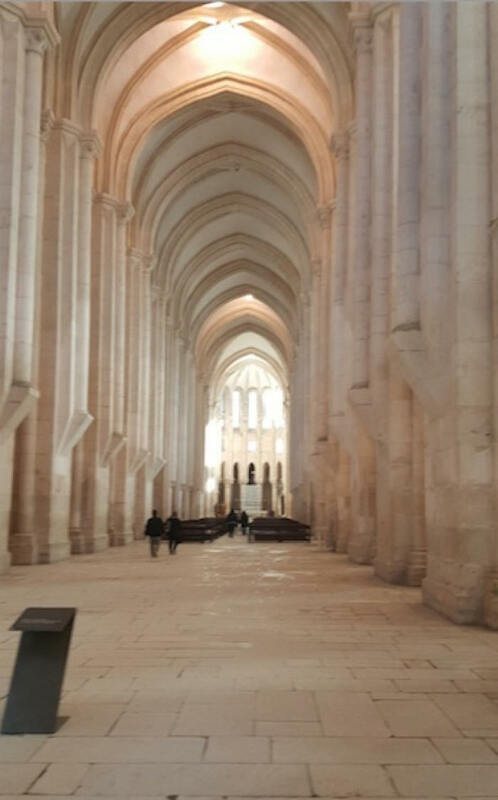 He joined the abbey of Alcobaça and when he moved he took her ashes with him and named the place where she was buried after her. A chapel was built in her honor. 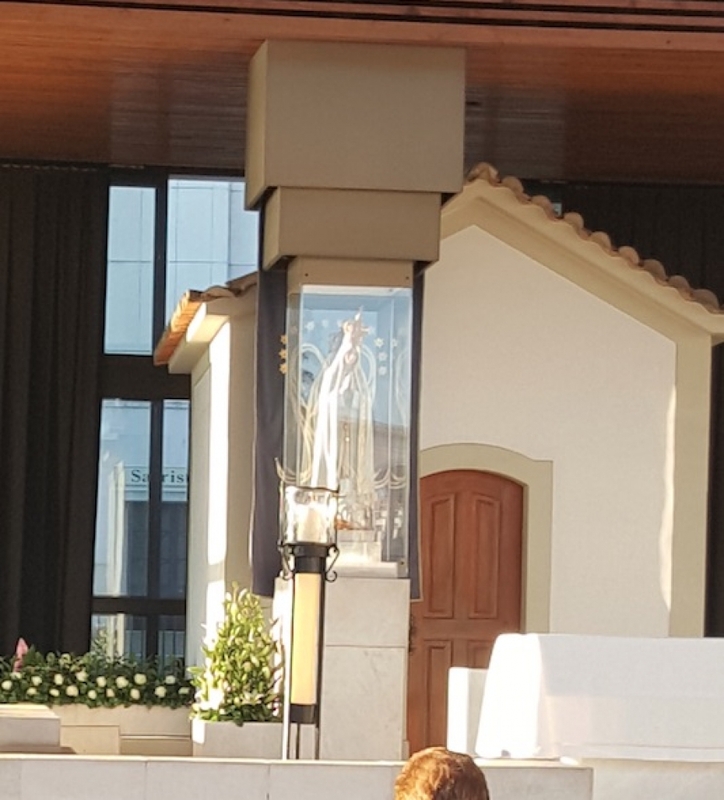 Fátima is one of the most famous Christian religious sites in the world and receives millions of international visitors annually. The miracle took place from May 3 to October 13 in 1917. Three children, Jacinta 7, Santos 9 and Lucia 10, told their parents that the Virgin Mary appeared to them in the top of a tree while they were tending their sheep. Only Lucia spoke to Mary who told her she would reappear on the 13th day for the next 5 months. Word spread and by the final visit 70,000 pilgrims gathered there. 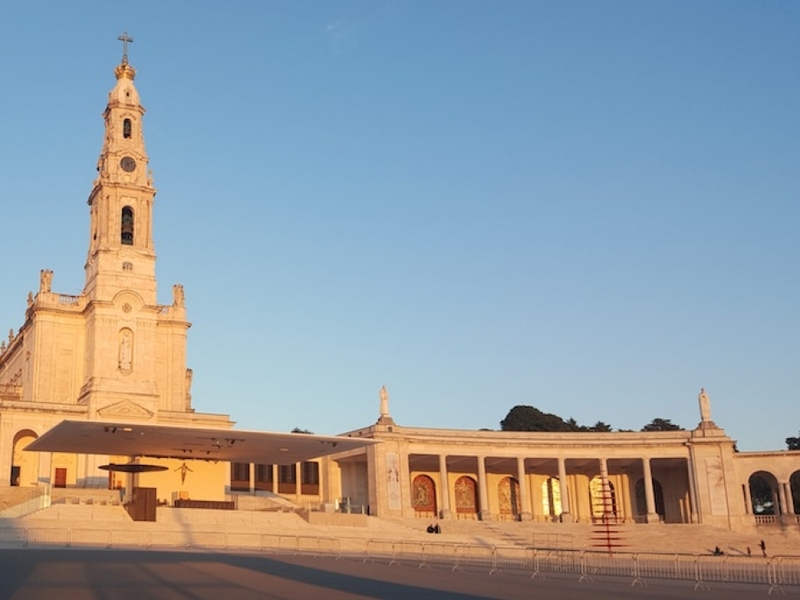 The Sanctuary of Fátima complex has more than 15 individual sites. The Neo-Baroque Our Lady of the Rosary of Fátima limestone basilica was constructed from 1928-53 with a 231-ft. tower. Within the basilica are the tombs of Jacinta, Santos and Lucia and the stained glass windows depict the events. The 8,633 seat Basilica of the Holy Trinity, the 3rd largest Catholic church in the world, was built from 2004 -2007. 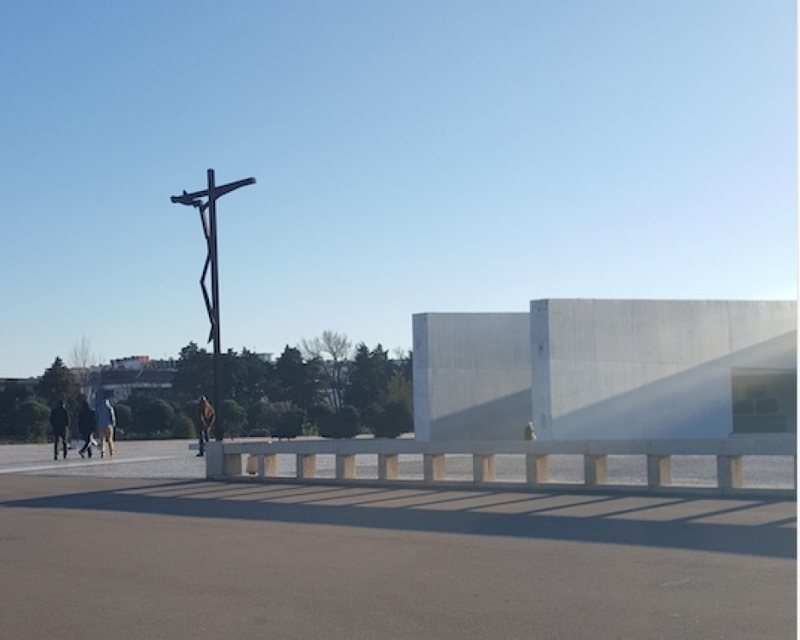 The Chapel of the Apparitions is situated on the spot where Mary appeared and a marble pillar and statue of Mary mark the exact spot. 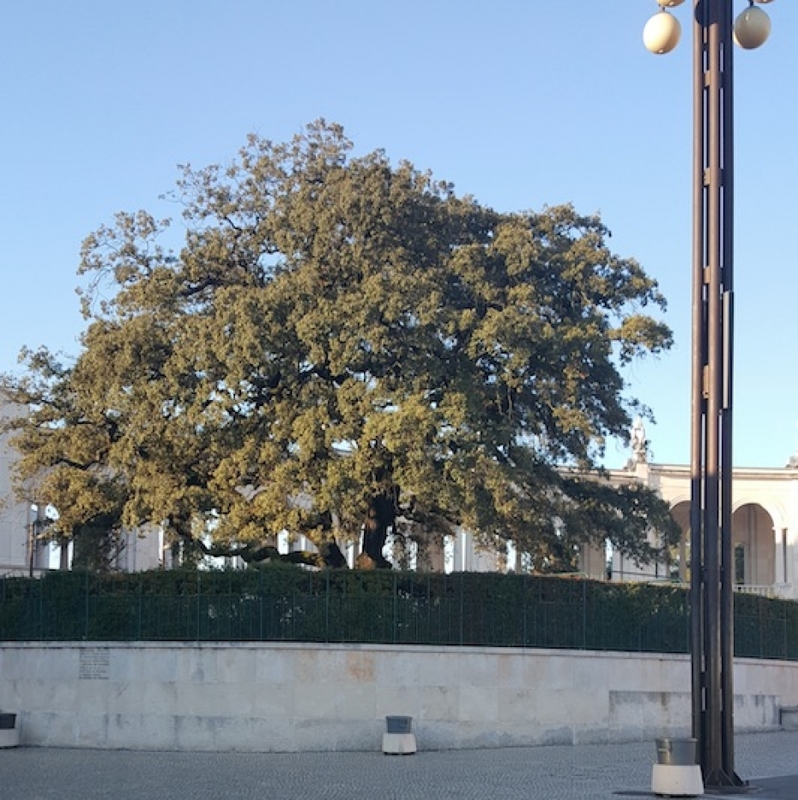 The tree in which Mary appeared is adjacent to the chapel. There is a full schedule of activities and no admission fees are charged. The homes of the three children are outside the complex.